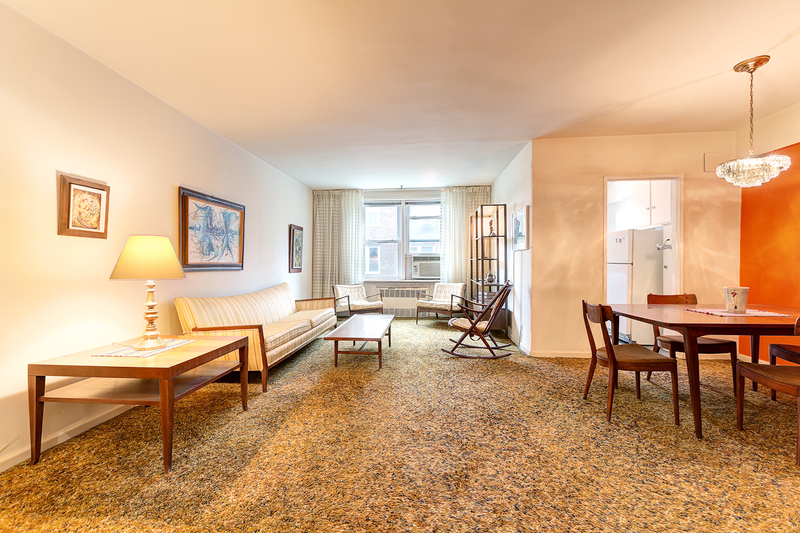 Be transported back to the 1950's as you enter this spacious 2-bedroom, 1-bath urban oasis which has retained all of the features and charm. Once home to a single owner since the inception of the Southridge cooperative, it has all of the original finishes, fixtures and is outfitted with highly sought after mid-century furnishings throughout. This highly practical and spacious corner layout has a formal foyer, dining alcove, windowed double-galley kitchen, windowed bath, ample closets and garden views. The building has a newly renovated main level laundry room, children's playground, gated private garden, on-site management and a live-in super.